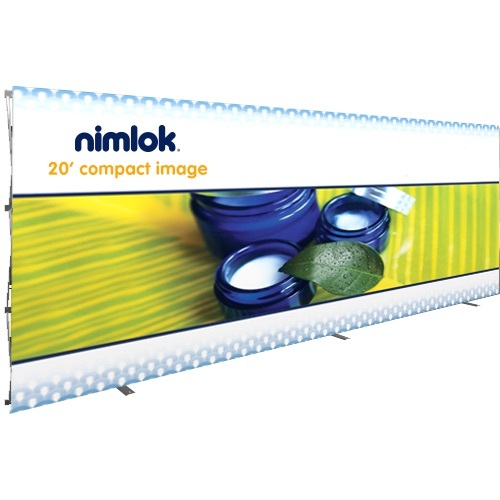 Big or small, Nimlok Compact Image displays set up in 15 minutes or less. The single, seamless fabric graphic is pre-attached to the durable metal frame via Velcro for fast and easy setup, teardown, shipping and storage. The frame is covered by a lifetime warranty and the entire product – graphics included – fits into a portable, rollable carry bag. $1,533 Visit our showroom and get our 10% SHOW-UP-AT-THE-SHOP discount off the online price.